When you are serving alcohol in your establishment, there is a large opportunity that you can capitalize on with each customer that walks into your door. It’s best if you know exactly who your target market is and what opportunity you have to sell them drinks so that you can create a strategic plan to effectively attract them to your business. It’s important to keep in mind who your competition really is. You’re not competing with every business that sells alcohol, you’re competing with businesses in your area that are trying to attract the same consumer group as you are. Therefore, you should know what is happening around your block and in your neighborhood to offer something unique that will make your business stand out in a crowded market space. Aside from reward programs and social media promotions, which have both become such a common tool for bars and restaurants to increase their sales, we decided to bring you some fresh tips on what you can do to bring more $ to your business to increase your bottom line. 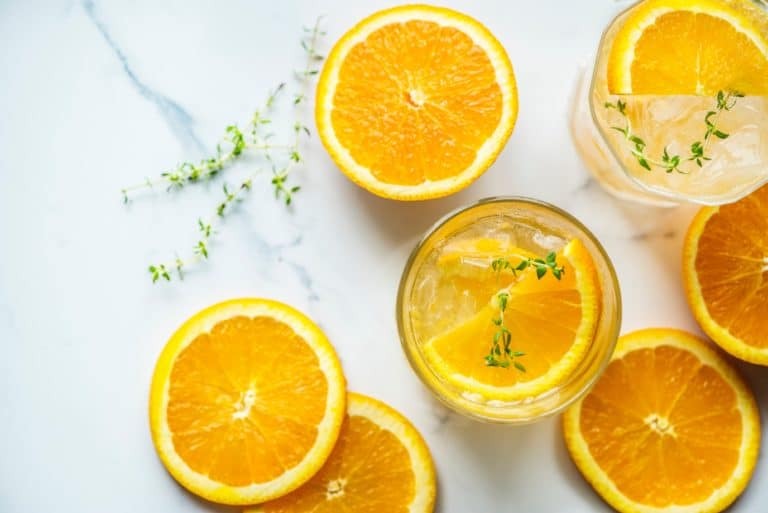 Oftentimes, the restaurant management treats beverages as an accessory piece to meals, but the truth is that the beverages present products that can bring the highest profit at the fraction of the time opposed to a meal. The margins are astronomical compared to food, so let’s look at how you can increase your beverage sales. If your establishment’s layout allows it, have a bar in the waiting area. This can completely change your guest’s experience; starting the night off with a drink makes the wait more pleasant. 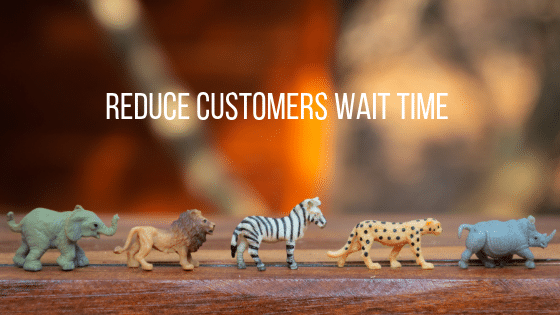 This is especially helpful during busy times when abandonment rate post checks-in is at its peak due to customers getting discouraged by hearing the estimated wait time. If there is a bar in the waiting area, where your friendly staff member can suggest customers grab a drink while they are waiting for the table, you’ve got yourself a win-win. How many times have you decided not to order because the bar was too crowded, the line was too long, or your server was too busy that you weren’t able to get their attention? These are the biggest beverage sale-killers. a. Schedule more staff at the busiest peaks which might cost your business more money on the salaries but ultimately your customers will be spending more money and will be more satisfied with their overall visit which will help to get them to return. b. Find a way for customers to get their own drink. 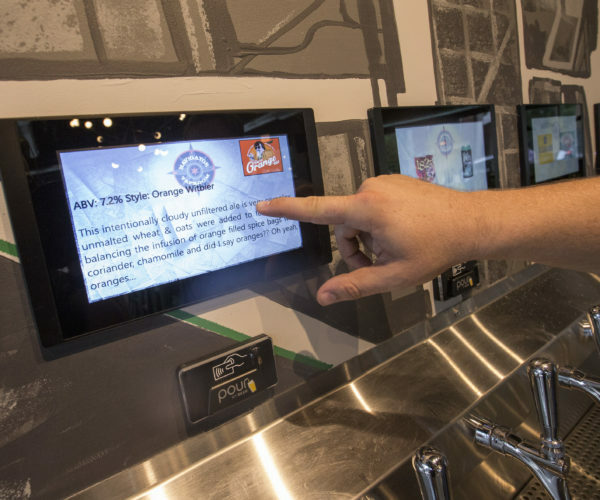 New technology such as self-pour drink walls can have a huge impact on customer experience. Besides reducing the wait time for drinks, it will also add a unique twist to your business model which helps to differentiate from the competitors; not to mention that beverage walls encourage customers to sample new drinks (which they pay for by the ounce), which can higher consumption. The beverage wall does particularly well due to the rise of craft beer consumption. Craft beer fans love having the ability to try all beers in smaller quantity before committing to a full glass of something. It can be very frustrating when a customer is looking at a drink menu or draft list, and all they see is the drink’s title with no description. Educate your customers on the beverages you are offering. Transparency is something today’s consumers expect from businesses. In the craft beer world, there is a platform that makes transparency extremely easy for restaurant & bar owners – Untappd. Untappd is an application that allows users to rate specific beers that they’ve tried and leave personal testimonials & reviews for each brew. 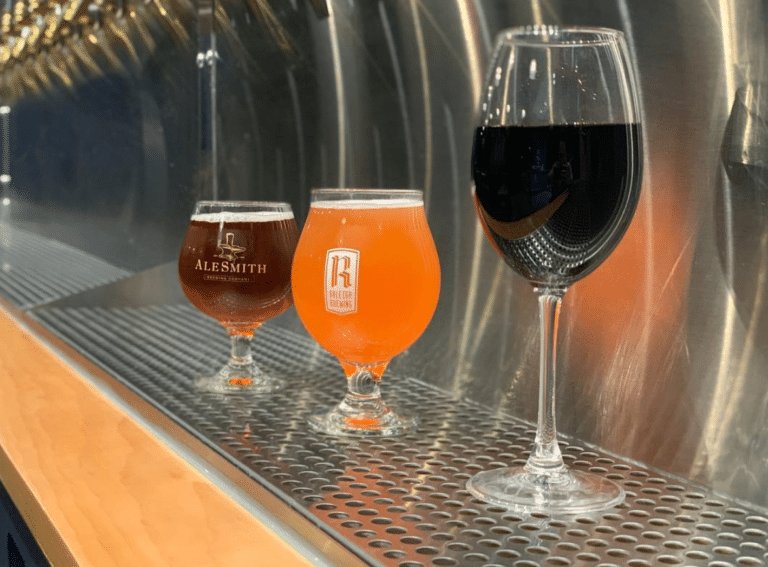 Untappd for Business focuses on four key pillars to help businesses grow and maintain beer sales; Promotion, Customer Engagement, Data & Analytics, and Efficiency Tools. 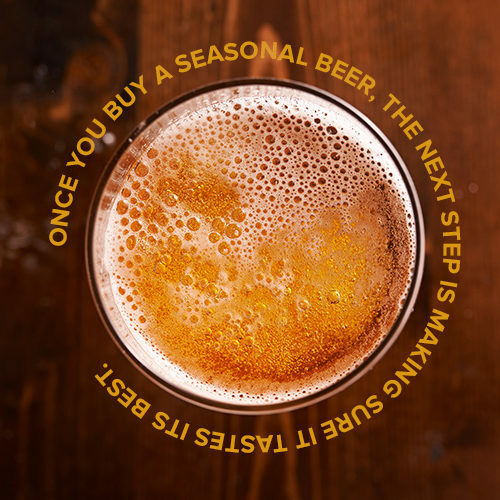 Untappd connects you to the World’s Largest Community of Beer Drinkers, making your beer list your most powerful marketing asset to kick off the promotion category. Your customers stay engaged with you through push notifications they receive when new beers hit your menu and also when you add new events, making it extremely easy to stay top of mind – right in your customers’ pockets. Couple that with Data & Analytics that give you access to your area’s beer trends – from the top- selling styles to the specific beers Untappd users in your area are trying to get their hands on, Untappd for Business makes it easy to keep your finger on the pulse of the local beer scene and give your customers exactly what they are looking for! Leveraging this big user data is a great way to increase your beer sales. In a world that revolves around decision-making… interestingly, many people still don’t like to make decisions. Making decisions makes people feel uneasy- especially when there are a great number of options that the menu presents them with. When presented with something specific, the decision is much easier for them. Consider adding “suggested pairings” for drinks with your food dishes. Or have your wait staff ask if they can help them decide between a few brews based on what’s popular. Train your staff suggest a refill and mention the specific drink that was ordered previously rather than “another drink”. It is a more personalized message and if the guests liked their drink, they will be more likely to say yes to it again if they hear its name. Your staff should offer something more upscale rather than mention a good option. After all, the guest can always ask for that themselves if they want to keep the price low. 5. Spruce up your cocktails – or at least their names! A couple of weeks ago, I was in the store and as a big fan of Game of Thrones, I found myself buying a bottle of Whiskey that was themed Game of Thrones just because it was GoT. To put this in perspective, I am not even a whiskey drinker. I am 100 % faithful to hops and malt. Beer is my thing, but as a party host, I would much rather find myself serving something of a bottle with GoT theme which I am a fan of. It is simple. People like to relate to things. They like things that are familiar. Offer some unique names on your menu and it will get people to talk, laugh and share. Re-name signature drinks so that their names are fun & interesting for your target market. Spend some time researching what your target market’s favorite TV shows and movies are. Based on the result, create a few drinks inspired by the main characters. Besides seeing happy and entertained customers’ faces, this can be helpful in spreading the valuable word of mouth reviews & recommendations. People also love to share entertaining things like this on social media; which can lead to great & free exposure for your business. What’s the lesson here? Don’t be vanilla- enhance your menu by renaming a mixed drink to a fun, pun-like name. Or offer something completely unique- tailored to your market! TIP: Have each of your bartenders create their signature cocktail. It will make them more likely to suggest their own creating to the guests when they are hesitant of what to order. It also makes the bartenders more excited about those drinks, adding an extra spark of enthusiasm, which results in an easier sale. It also brings a bit of competitiveness to your business and helps with supporting drinks being rang in to your till properly (rather than “accidentally” forgetting doing so). Besides, creating one’s own drink is so much fun! We’re not talking about some random weird beer that one in 100 people will want. We’re talking about things like Kombucha, Matcha lattes or cold brew. These are unique items that are building popularity with younger generations and will really help you get extra points among the health-conscious, trendy audience. TIP: To make it more fun and further boost sales, we recommend tweaking these misters popular into cocktails! Why do you think that so many breweries & taprooms just offer popcorn and pretzels? It is really not just to please their customers. Snacks not only prevent guests from getting too full (and stop drinking), but it also encourages more of a “hangout” ambiance. People will stay longer, which means they will drink more. As they stay for longer, snacking will make them more thirsty as well, driving more drink sales for you! We all know the consumers that come in and when asked what drink they’d like, they say “surprise me!” This leads to inefficiency from the bartender or server needing to think of a drink, to know how to charge them for that drink, not to mention sometimes the customers end up not liking what they get! Get in front of this. Address those people that want a surprise. Add a drink to the menu called “Surprise.” Have it change on a weekly or monthly basis based on what combinations make sense for the price. 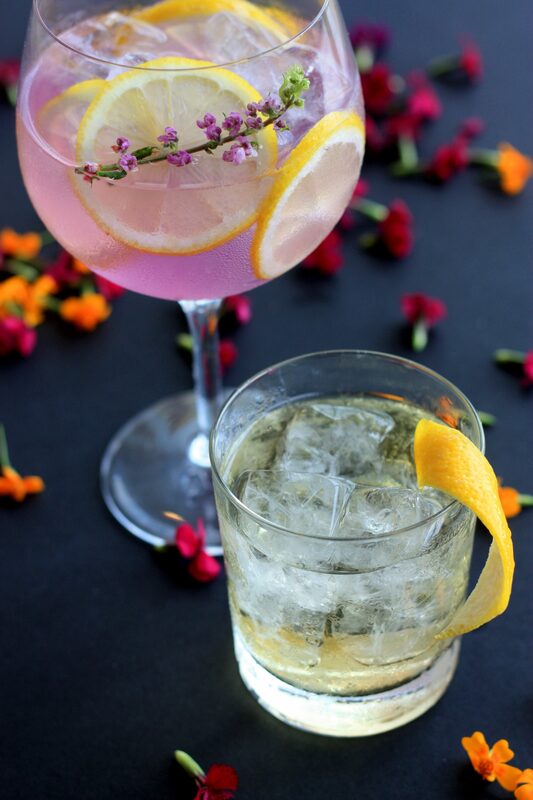 Even better, you can use this as an opportunity to test out new cocktail creations to see if they could be successful among your target market! Such as 2 for 1 deals or Happy Hours! 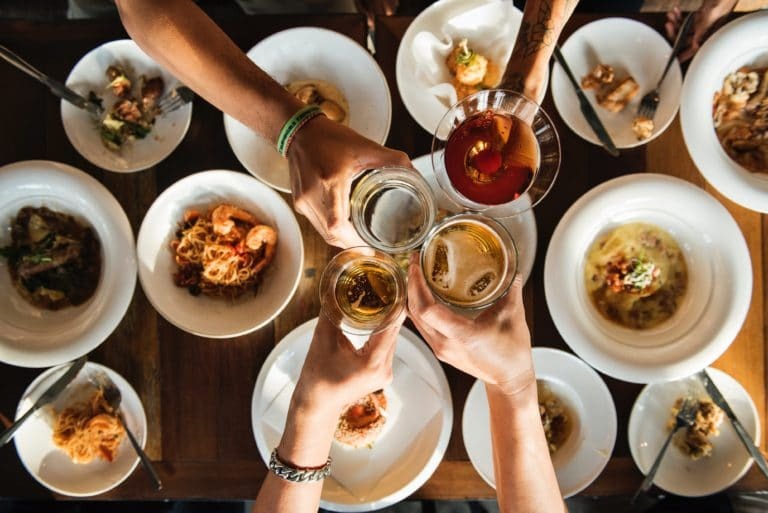 If your establishment is located in the busy commercial area where people tend to go after work, focus on being the spot that is perfect to hang out after the diners leave and the drinkers stay around. If all the bars around you are closing relatively early, try to see if making your place known as the spot that stays open late and has a great after-hours special would bring additional profits! 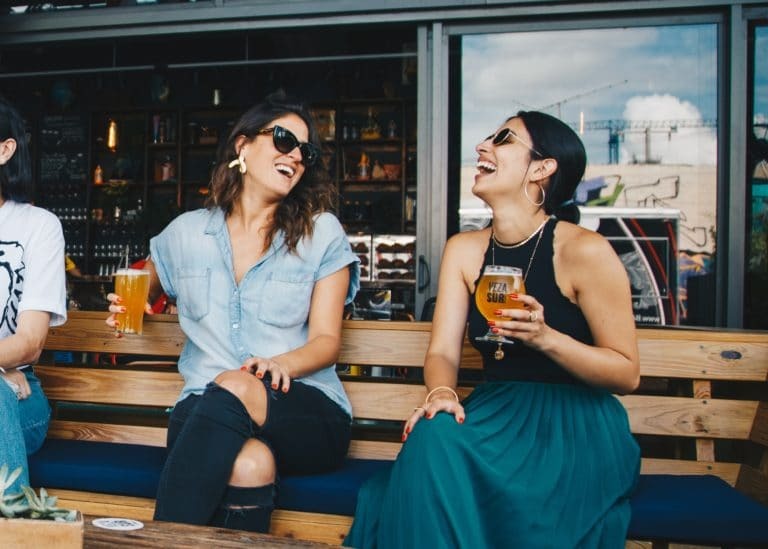 Tweak your Happy Hour into happy week/happy month or promote your customers bringing friends and make it Happy IT hour/Happy teamwork hour – incorporate social to it and create a happy hour hashtag, contest or something similar. Another way to increase sales is by keeping your guests around longer after they are done dining. This can be accomplished by creating a cozy and relaxing atmosphere which does not feel like you have to leave right when you’re done eating. If your establishment’s layout allows, try to add a lounge with lower light and comfortable armchairs around the bar area that encourages people to just hang out and socialize, this can have an enormous impact on increasing beverage sales. As a big outdoor fan myself, visiting a bar/restaurant that has outdoor seating is always my preference. Outdoor seating can accommodate large groups, as well as unique consumer groups such as dog owners or (in some states) smokers. If you have been paying attention, you know the demand for local [everything] is growing. Bring local brews and spirits to your menu. Have your staff recommend them to really appeal to the local market. Learn more about creating a kick a** restaurant beer list. Choose whichever platform makes the most sense (we recommend Instagram as it is not only the extremely popular and growing platform but it is also highly visual) and start sharing exciting new drinks. Post your drink menu on Facebook so that users can always have the most up to date information. Even better, make it fun & visually appealing. Experiment with videos in slow or fast motions, GIFs, stories etc. Create your own niche hashtags that allows your customers easily find you. In the summer, you may push citrusy beverages while in the fall/winter, you may focus on cozier ingredients such as cinnamon or cider. Make sure that tourists can find you easily as one of the top results on sites such as TripAdvisor and Yelp. Many tourists these days rely solely on online reviews when looking for a place to eat or drink. Partner up with local hotels and make sure they have your printed menu or at least promo codes specials at the lobby. Give their concierges $ gift card to dine at your place to give them a reason to recommend you over anyone else when guests ask them. It is better to have the customer order something they really like, rather than having the customer drinking something they don’t like; or worse, having them not order anything because they couldn’t commit. Who knows – if they like it enough, they may order a second one! TIP: This is where self-pour technology works particularly well and significantly helps decrease waste of kegs (compared to average traditional bar’s waste of 23%, self-pour can get the number down to as little as 1%). More seats/space means more guests can fit in, which means more drinks can be ordered and consumed. 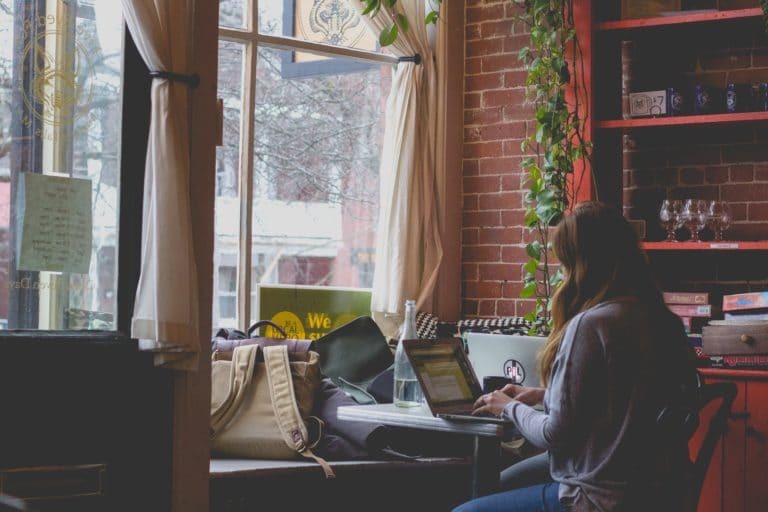 Obviously, due to your business space limitation, it is not always possible to add more space or more seats, but there are a couple of things that can help increase usable space within your space. a. Furniture – if your armchairs take up too much space on the side and are not easily movable, you might want to replace some of them with comfortable benches or sofas where more people can fit in. b. Bar area – your bar area is the space that usually takes up lots of space inside and if replaced by self-serve beverage wall, as much as 10% of usable space can be saved and utilized for increasing number of tables and chairs for customers to use. After the drink is consumed, the beverage sale is not really sale until it was rang up into the till. It is important to keep the staff accountable for these loses as they present a huge cost to the business. Unlike self-pour that completely eliminates an issue of someone forgetting ring the beverage up thus reducing the beverage waste to as little as 1%, traditional bars deal with beverage waste around 20 – 25 % due to spillage, free samples and theft. This means that basically every fourth keg of beer is paid by the business without bringing any profits back. This one is particularly challenging with traditional business model if you are not around the bar to supervise. It can be hard to get your bartenders to understand that when they hear “make it strong” from their customers, the cost of ingredients the business had to pay did not change. After all, they are just trying to please their guests and are often tempted to make extra money on their tip. If they are not your business partners, chances are that your bartenders will be more inclined to do whatever serves their wallets the best. However, dropping those couple extra ounces in the drinks here and there can really add up. 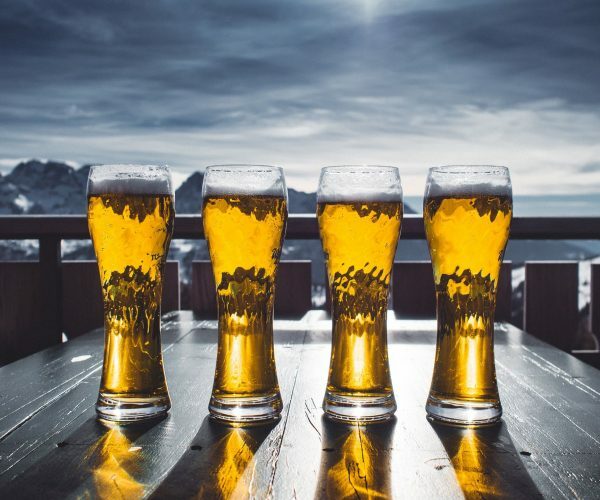 According to bevspot.com The average bar runs a 25–30% pour cost, but the aim, of course, is to decrease this as much as you can, a common goal being 20%. If you have any doubts about this, check out this calculator on Smart Tender, which tells you how much money your bar loses annually if bartenders overpour each drink by just 1/8 ounce! More positive exposure online will lead to increased brand awareness which typically leads to bigger sales. Research bloggers and influencers and invite them to dine at your restaurant; you should always make sure you communicate that there are no strings attached even if they are dining at your place for free; tell them you expect honesty and they will most likely appreciate you even more and you increase your chances of getting good and positive reviews that way. We hope that you find some of these tips applicable to your business so your beverage sales can show increase! 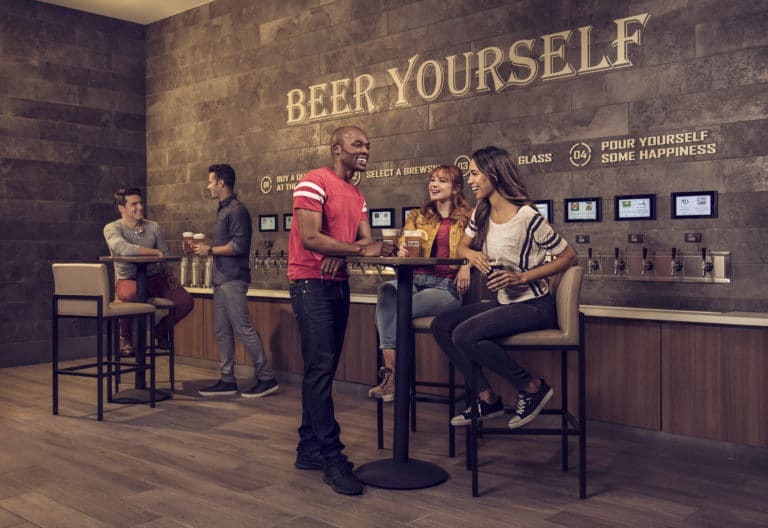 We’ve been studying how our self-serve technology can increase drink sales in many different kinds of establishments. Self-pour tap walls reduce customer wait times, create a fun atmosphere, and mainly increase sales! 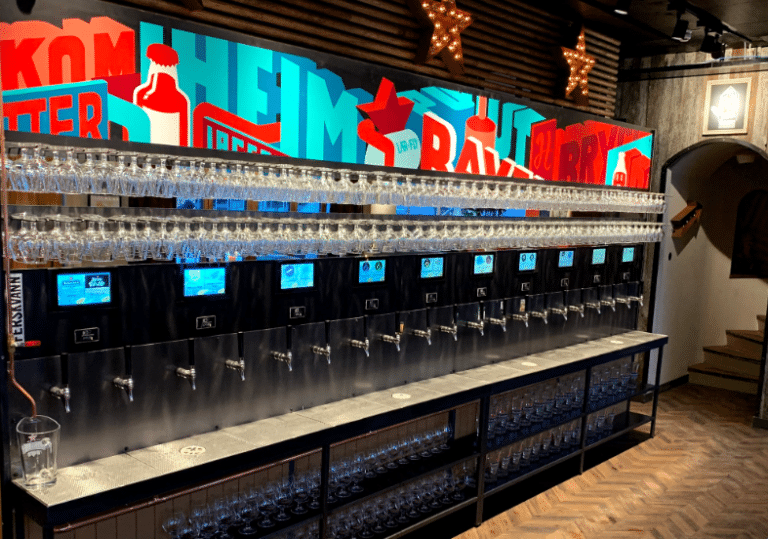 Check out a case study on Fatty’s Taphouse to see how their beverage sales skyrocketed after switching from the traditional restaurant model to self-pour. We would love to hear back from you on which one of these tips worked well for you and know more details! Also, if you have any additional suggestions to increase beverage sales, please share those with us at cheers@pourmybeer.com!